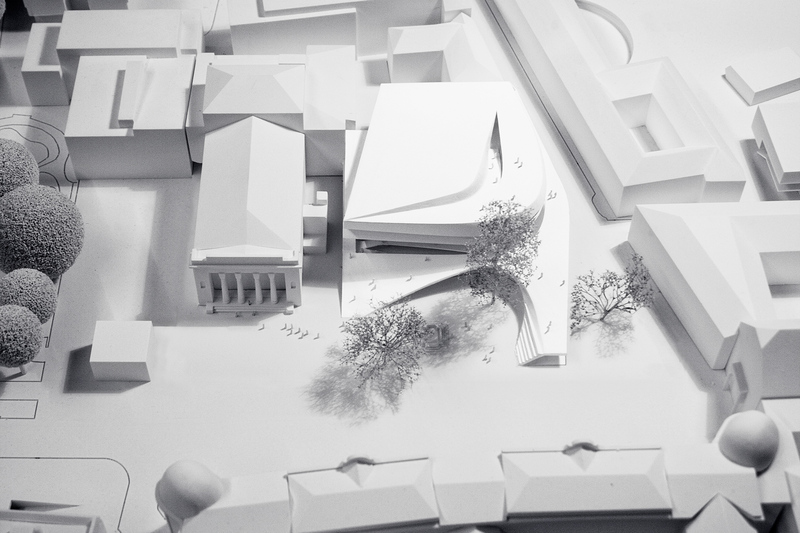 The new Haus der Musik (House of Music) in Innsbruck will re-zone one of historic Innsbruck’s most important focal points and articulate it as a pulsating, living space of culture. 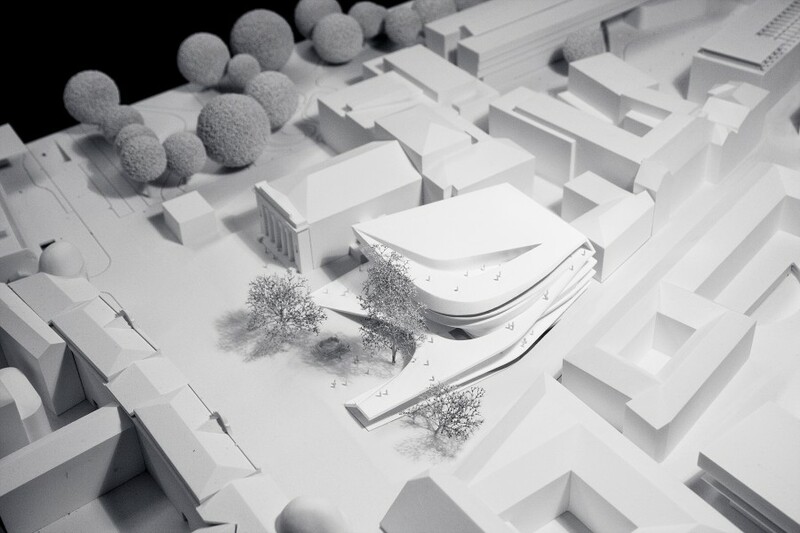 The new Haus der Musik in Innsbruck will introduce an entirely new urban user level – for both tourists and residents alike. 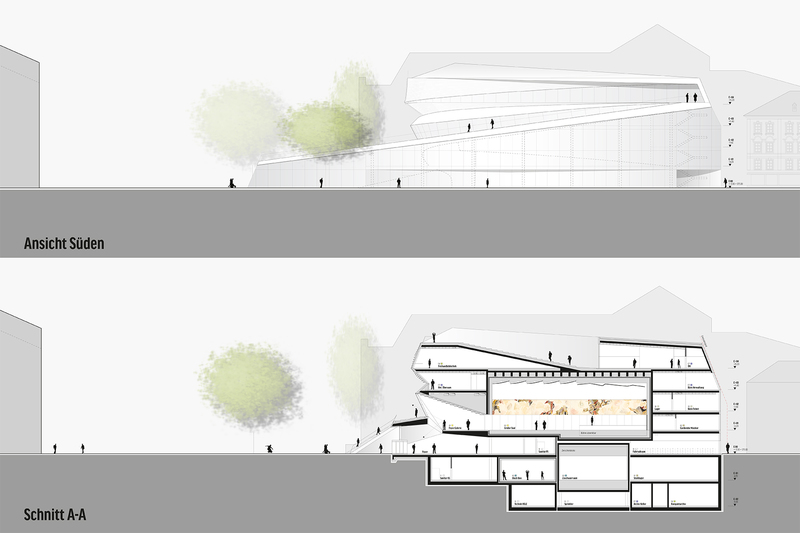 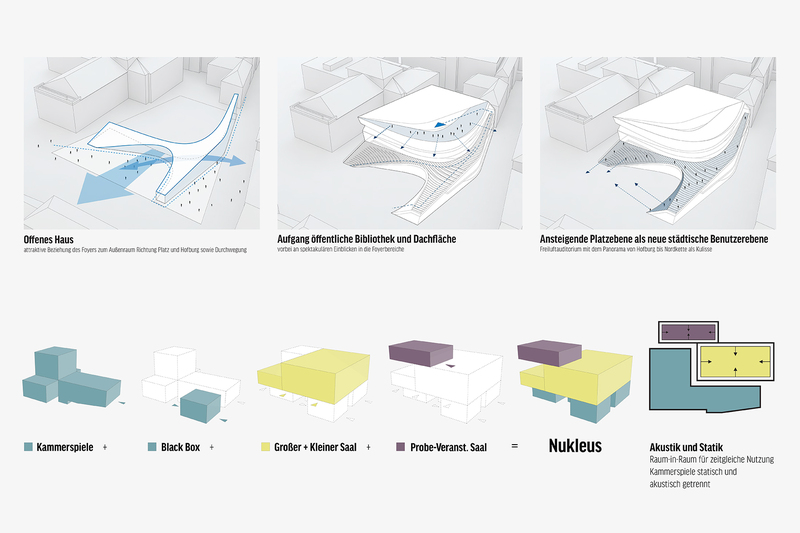 An upward sloping plane will create an outdoor public space. 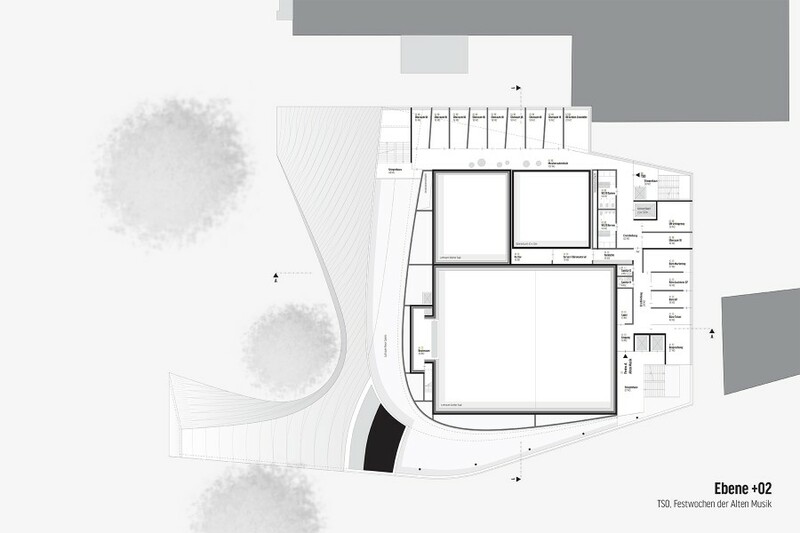 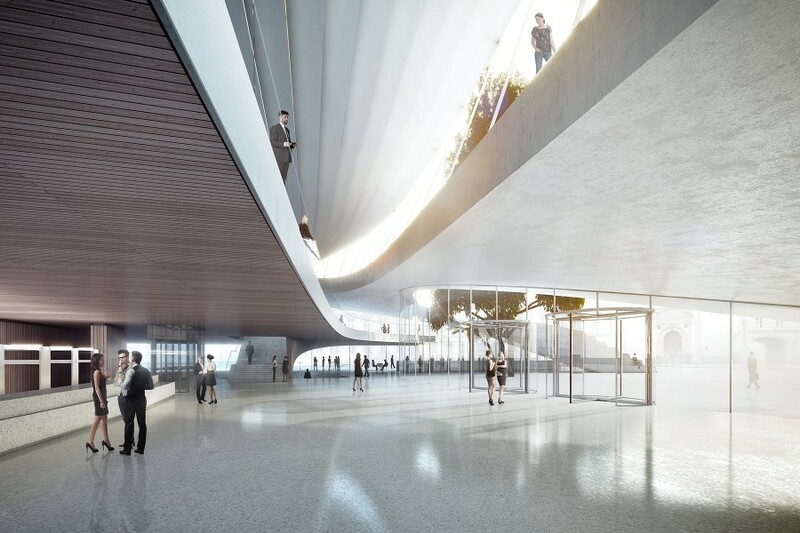 This plane develops on the roof of the foyer and can be reached from the two arms of the building that enfold the forecourt. 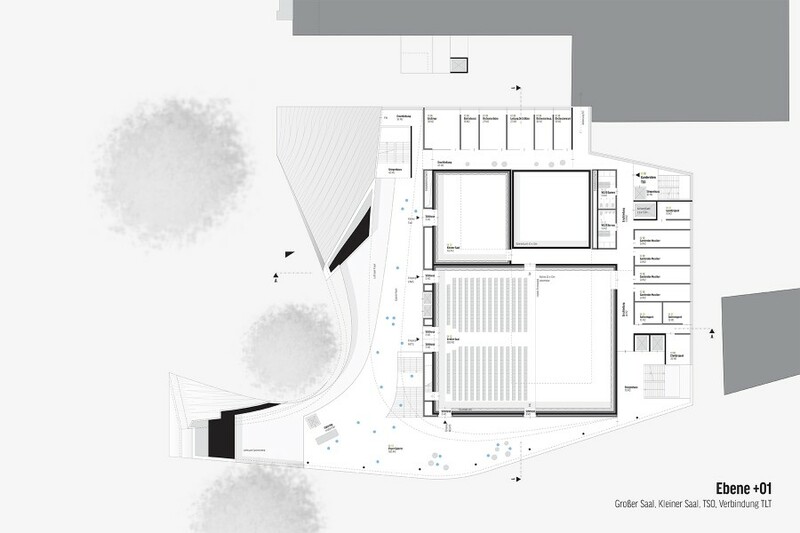 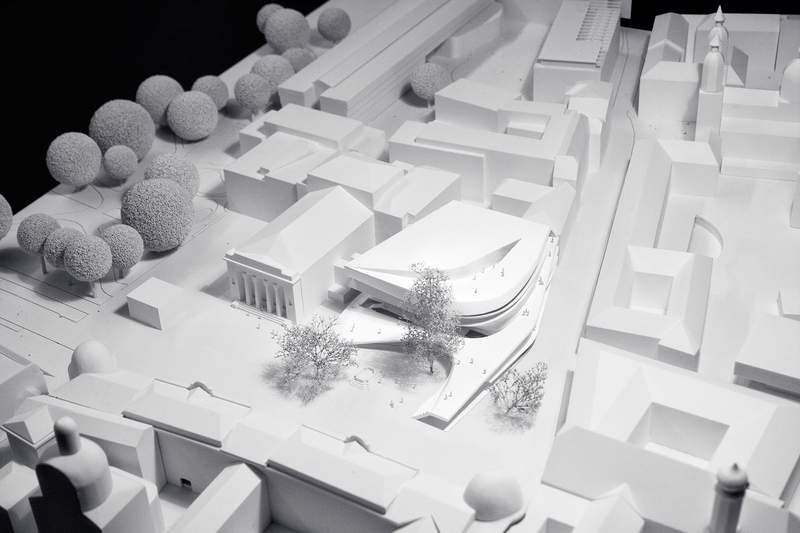 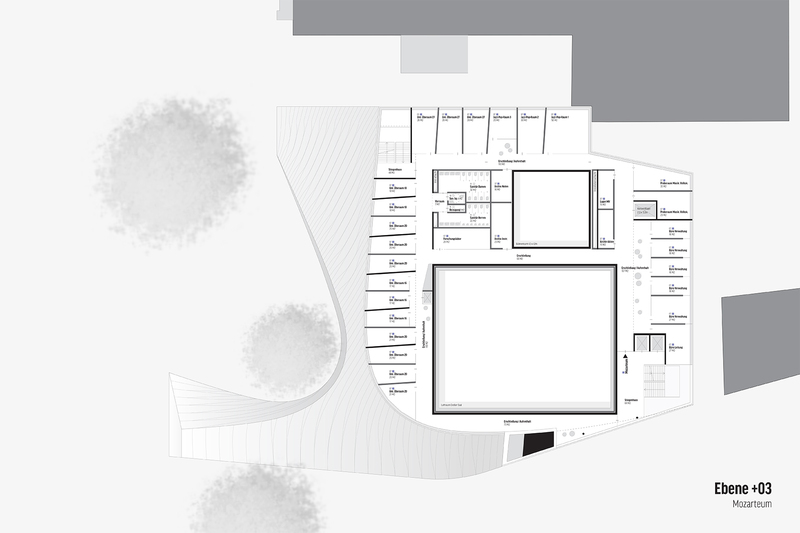 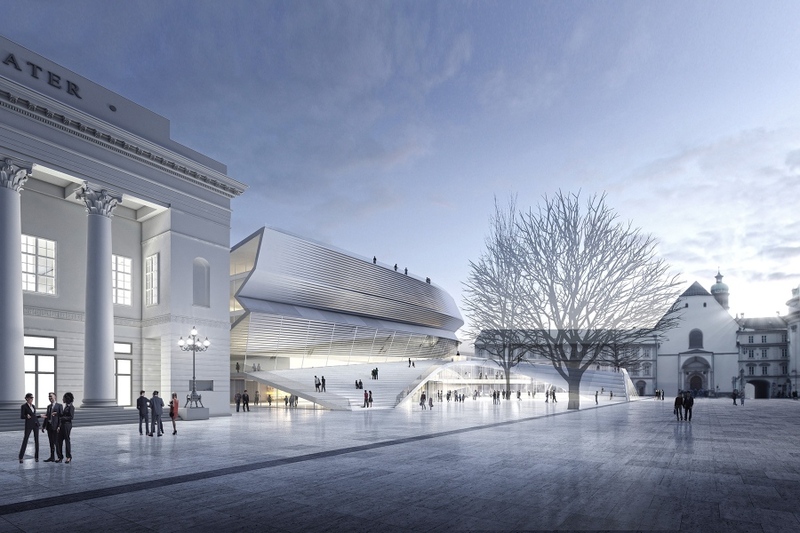 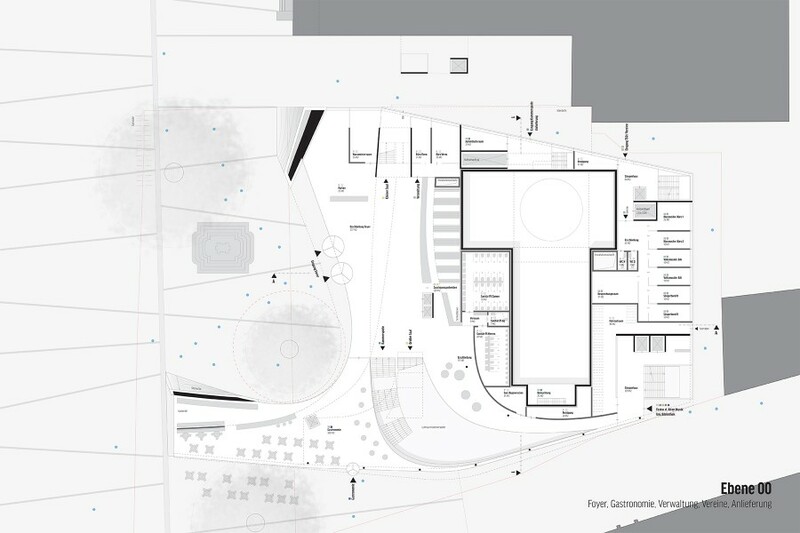 In a sense this creates a public spectator stand for an open air auditorium with the panorama from the Hofburg to the Nordkette mountain range as a backdrop, which also leads past spectacular viewers into the foyer area and up to the entrance to the public library. 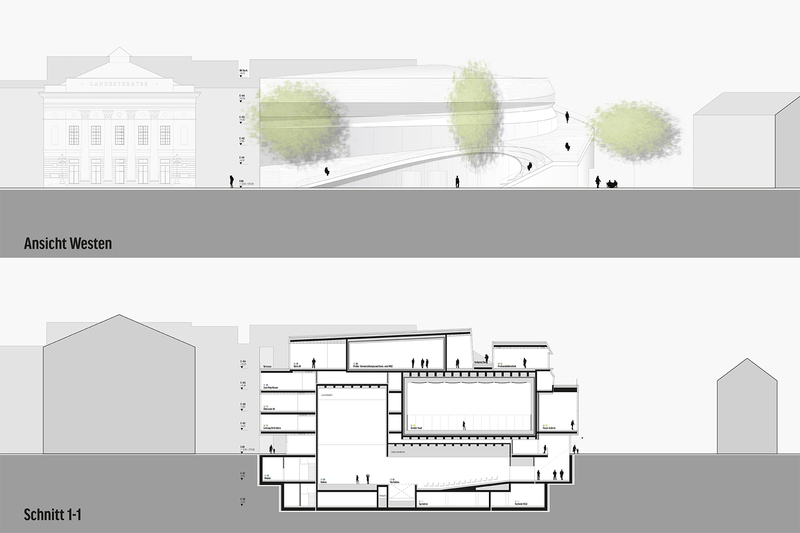 As an open building the new Haus der Musik in Innsbruck can accompany the flow of passers-by into and through the building. 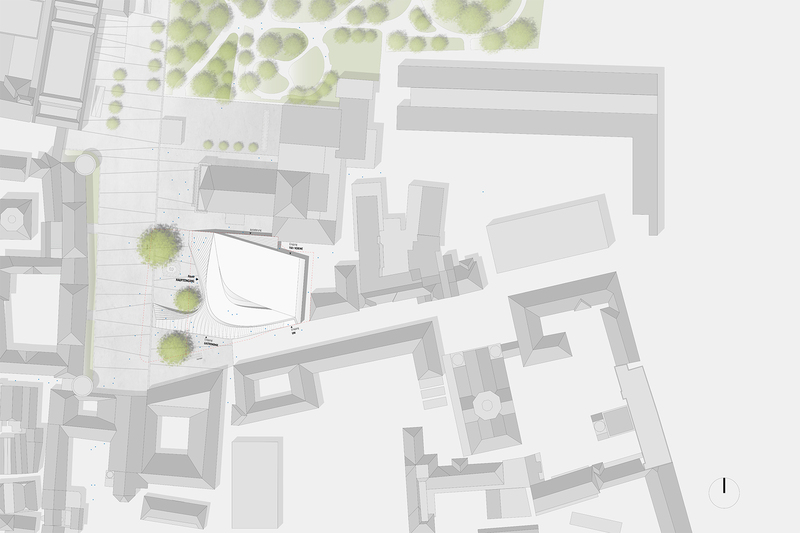 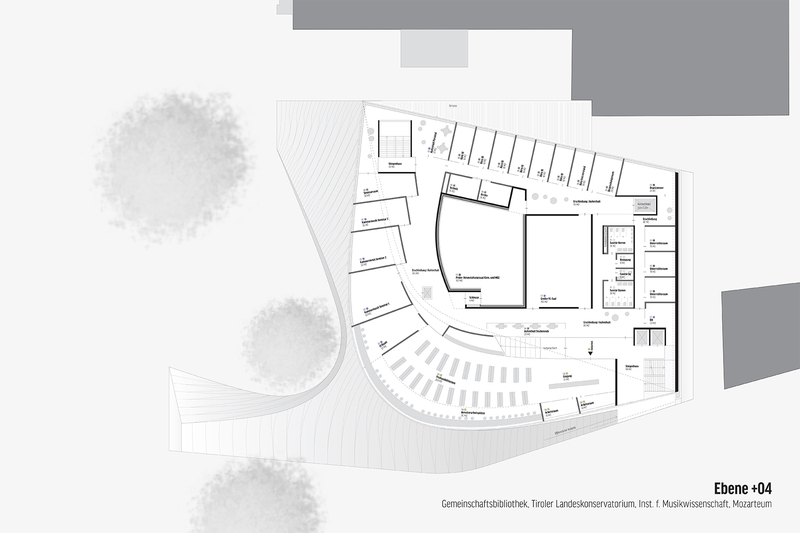 The foyer zone is situated in front of the building in such a way that, on the one hand, it offers a short cut between the points Landestheater and the end of Angerzellgasse, and on the other can incorporate an attractive relationship to outdoor space in the direction of the Hofburg. Concert and theatre visitors reach the auditoria via curved, spatially complex staircases. 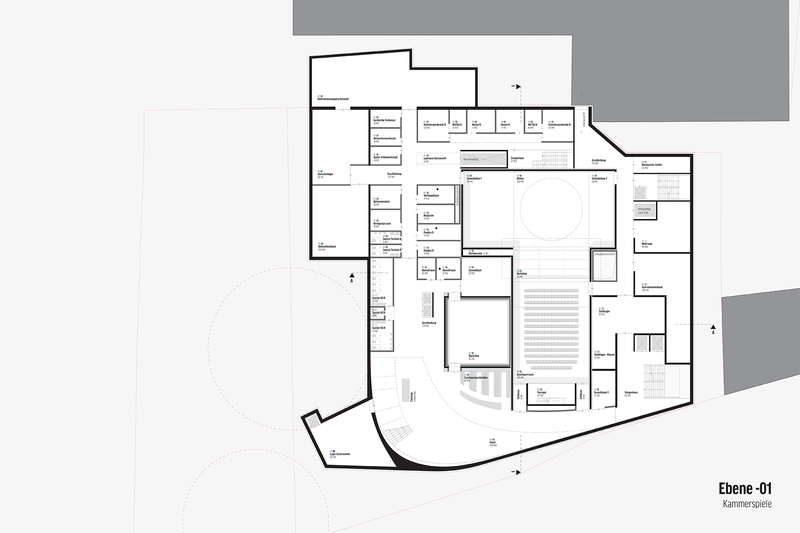 With their different sizes, heights and functional relationships, the four main halls are woven into a spatial construct, in a certain sense interlocked, to create a functionally highly compact nucleus of music and drama which, in the interior, offers maximum freedom to shape the acoustics and externally the maximum amount of freedom to develop a spatially exciting circulation zone around it.